Starting a low carb diet means dramatic weight loss and body changes. The low carb concept is simple (cut sugar, eat healthy fat), but what are your REAL chances for success? Some success tips for starting a low carb diet are obvious. Others are surprising, like Frankenfoods and seeing purple. Take the Starting Atkins quiz and see how your plan stacks up. Warning: When you find out your score, prepare for brutal honesty. Are you a Low Carb Superstarter? – or a Microwave Mishapper. Six strong factors predict your chance of starting low carb successfully. Master the skill and check it off your list. Low carbers who start Atkins, do their homework, select a plan, read the book and follow it are “in it to win it.” Low carb diet info is your road map to success. Low carb books tell you what to expect when starting a low carb diet, and how to cope with common issues. Empowering your mind is a crucial hallmark of predicting a good outcome. I’ve checked out the low carb books. Have you cleaned out your pantry and kitchen cabinets yet? If the entire house isn’t starting low carb, do you have a strategy for dealing with the high carb foods that must stay? Have you mastered the most dangerous aisles in the grocery? Accomplish all these things with our Low Carb Kitchen Quick Start Strategy eBook. 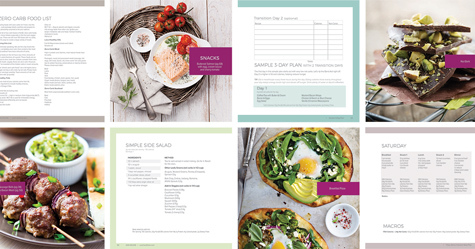 View, print or save the Low Carb Kitchen Quick Start eBook. I’m home-free of all temptations and edible success blockers. When starting low carb, it’s thrilling to find old favorite foods in new “carb-free” versions. Specialty products are a useful way to extend your options, but be selective! Junk food is still junk food, even if “low carb” is printed on the pretty label. Discrimination and moderation are key here. If you’re having issues losing and you’re not sure why, this is the first place to look. Sugar alcohols and artificial sugar substitutes are infamous for causing diet stalls and plateau. Real, natural, whole foods bring the best results overall. I read the labels and use gimmicky foods with caution. Low carbers who complain about what they CAN’T do are usually right. Low carbers who focus on what they CAN do are also usually right. Focus on what you can do – what you enjoy. 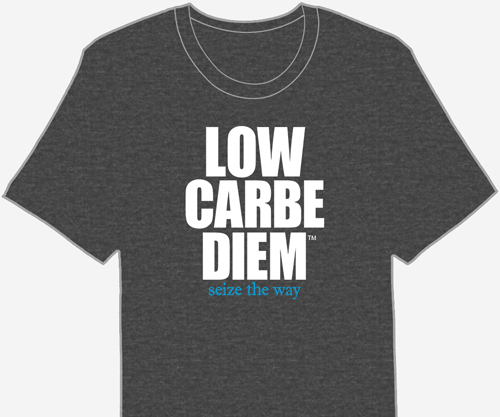 Focus on ways to make low carb fit into YOUR lifestyle. I have a can-do attitude, even when things get tough. Starting a low carb diet involves setting goals. Know your starting point, and you’ll see proof of how far you’ve gone. Tracking pinpoints trouble spots. Progress tracking reminds you of how far you’ve come if you ever need a shot of encouragement. It’s worth the trouble. Track everything: carbs, inches, weight, exercise – all of it. Tracking isn’t always easy, but it’s highly effective when starting Atkins and carbs are limited. Inexpensive Keto test strips are an excellent tool. When starting low carb, ketosis testing ensures you stay in a rapid fat-burning mode. Record your measurements and weight so you know your starting point. Digital scales are helpful, but a tape measure tells the real story. With exercise, muscles increase in density and weigh a little more. Your scale may not accurately reflect your true progress. Write it down! I’m tracking my progress in a way that works for me. Personality plays a huge role in our attitude towards food and affects success. Learn your tendencies and tailor your plan, using coping techniques in stressful situations. If you’re impulsive and you spot a pint of Ben & Jerry’s in the back of the freezer … We know how that story ends. How to Deal: We’ve covered this. Remove the temptations and you won’t come face-to-face with any terrors from the deep freeze. Do you pay attention to other things when eating, like watching TV or messing around on the computer? Are you snacking now? How to Deal: Control your meal portions and practice ‘mindful eating’ – don’t eat while doing other things. Think of meal time as a special sit-down event. The couch qualifies. If you’re an emotional person, strive to master focus. Low carb dieters who are anxious, nervous, stressed or depressed often eat to feel better. How to Deal: Ask yourself, “Am I hungry in my stomach? Or in my head?” When you’re ‘tummy hungry’, go to your emergency stash of healthy high fat snacks. Take deep, relaxing breaths. Eat the snacks slowly, with small bites. Avoid hurried or rushed eating. If you’re highly self-directed, cooperative and have a lot of motivation, you’ll sail down Easy Street. Be careful not to be too restrictive. Slow yourself to a ‘moderate’ pace. How to Deal: Reward yourself in a healthy way. Relax and try a few adventurous low carb veggies. If you regularly track your food intake better than others, you may have a more social personality. You have a low carb advantage. How to Deal: Use this trait to reach out to others for support. Throw a (low carb) dinner party and fool the neighbors. Reveal your secret after the Atkins Cheesecake. I know my low carb eating style and how to deal with it. Will You Succeed on Low Carb? Starting a low carb diet is simple. Solid plans influence success. It’s time to score your Starting Atkins quiz. Did you make the grade? I’ve done all of them! I’ve done most of them. So you’re not ‘military low carb.’ No problem – you’re still leading the pack. You’ve built a solid low carb foundation and you’re well-stocked to succeed. Still an A.
I’ve done a few already, maybe 3 or 4. I’ve done 1 or 2, because I couldn’t avoid it. Most low carbers fall in this range: printing a food list, poking around online and joining a few Facebook groups – hoping for the best. There’s an old Southern phrase, “One foot in is one foot out.” I’m sorry – you’re getting a C.
Master a few more items on the list, and your chance of success goes way up! I misunderstood the quiz and microwaved the Atkins book instead. Remove the binding and top your Atkins book with a dollop of whipped cream and raspberries. Serve immediately and enjoy.